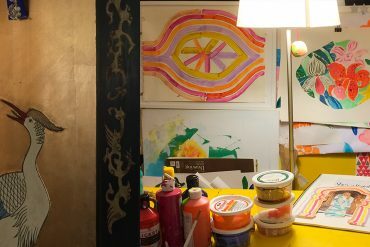 Surtex is an annual print show held at the Jacob K. Javits Convention Center in New York City. This year’s show will feature over 300 exhibitors from around the world who will be selling and licensing artwork and patterns for a variety of markets. The show runs May 18th-20th and today we are highlighting a few of the many talented designers who will be exhibiting at the show. If you are an art buyer or licensee attending Surtex be sure to stop by their booths and check out their amazing offerings! 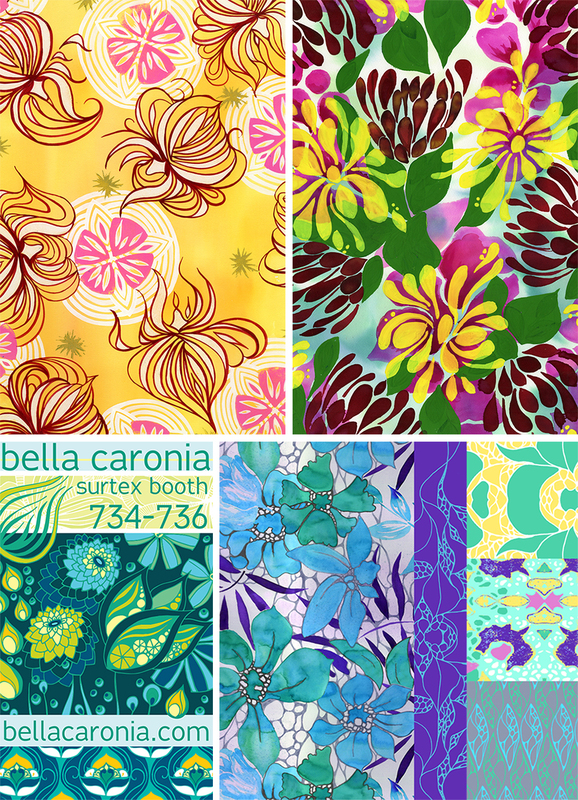 “bella caronia is a surface design brand created for those who love nature and color. 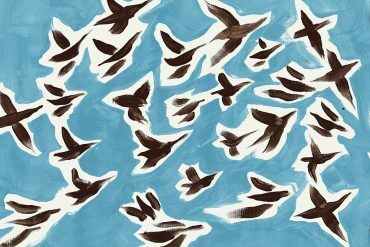 Artist Amanda Caronia specializes in hand paintings and drawings. “I love to experiment with color and new drawing styles to get unexpected results,” Amanda says. 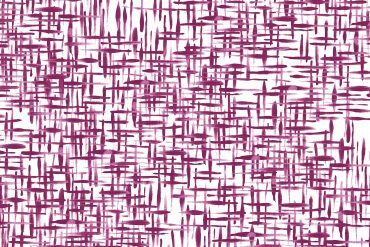 In fact she likes to mix traditional textile design principals with her bold modern style. Her signature look is layers of saturated color and organic motifs. Growing up in the country outside of Chicago she has always created art inspired by the natural world. Having earned a BA in Studio Art from Colorado College she moved to Los Angeles to further her design career in costumes and illustration. 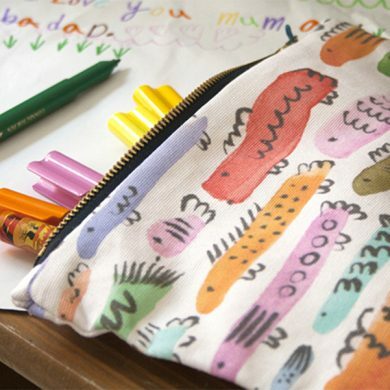 In 2012 she earned a certificate degree in textile design from Otis College of Art and Design. The inspiration for the brand comes from a love of all things outdoors. 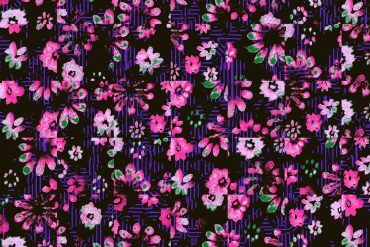 Amanda searches out the vibrant color palettes and varied textures and patterns in the natural world. She believes that living a healthy and balanced life with a good dose of natural beauty around you is key to fulfillment. Her favorite activities are in the mountains or at the beaches in California where she lives with her husband. 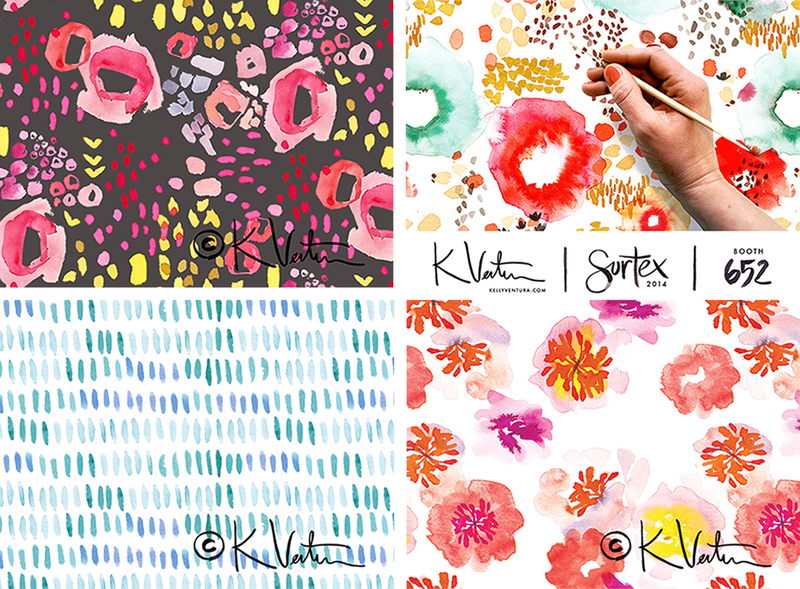 See more at kellyventura.com and be sure to visit booth #652 if you are attending Surtex! 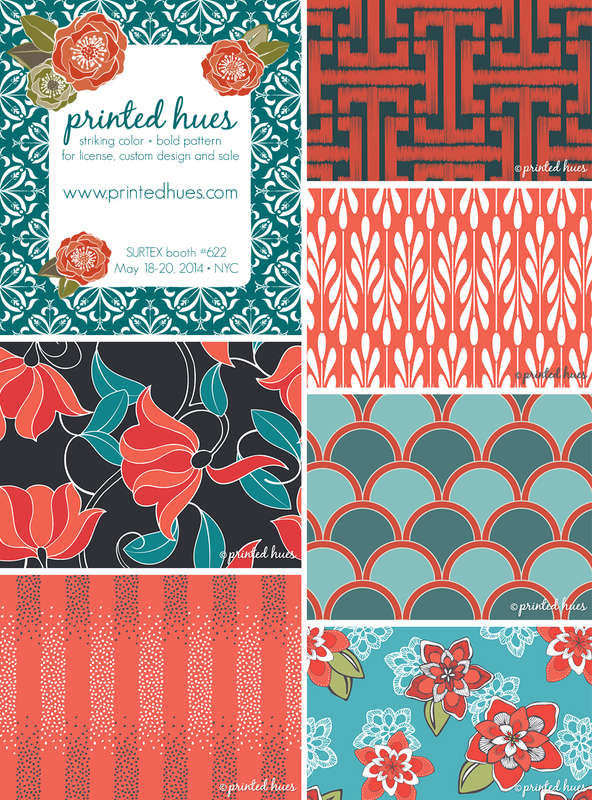 See more of Laura’s cheerful yet sophisticated work at printedhues.com. 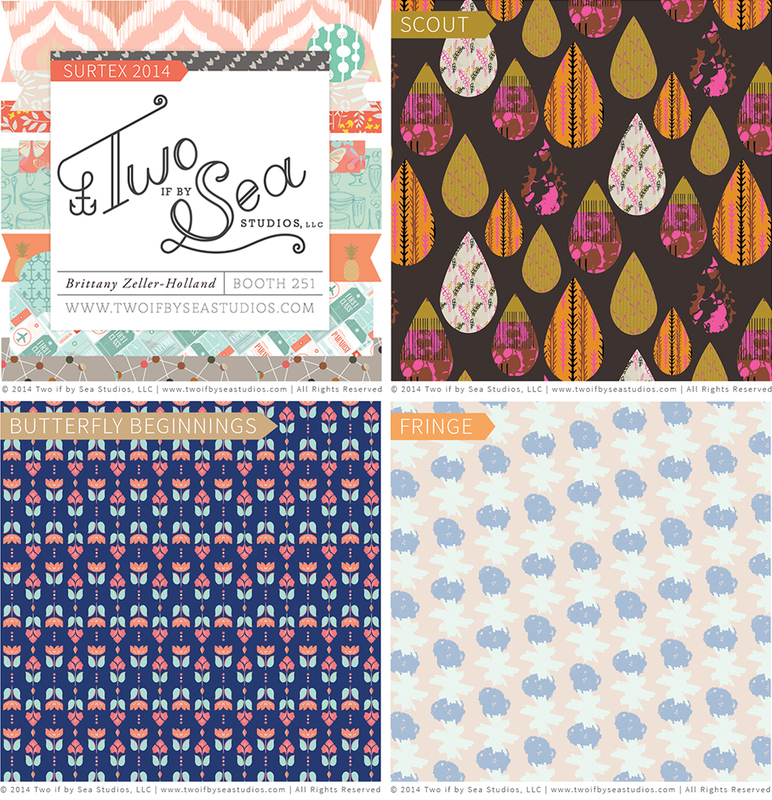 Two if by Sea Studios is “a multidisciplinary studio that works from a small desk, but has an arsenal of big ideas!” The studio is run by Detroit, Michigan-based designer Brittany Zeller-Holland, and will be debuting over 300 patterns at Booth #251 of Surtex! 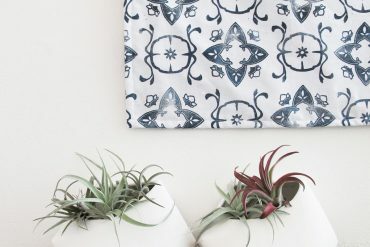 Learn more about Brittany and her work at twoifbyseastudios.com or peruse her lovely lookbook! 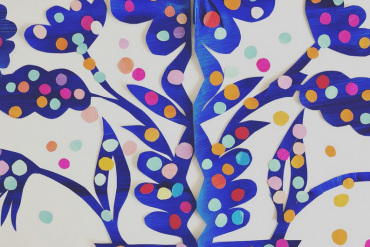 Are you exhibiting at Surtex? 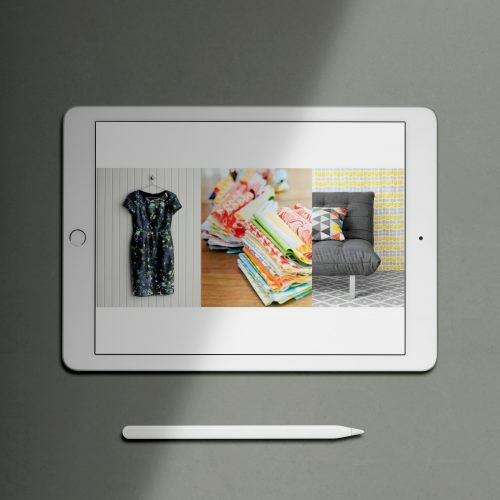 We would love to help spread the word on our Pinterest board! Feel free to send us your promotional flyers, which we will pin in the hopes of generating some pre-show visibility for all you lovely designers! If you are interested in sharing, email Chelsea at info@patternobserver.com with a jpg of your flyer, your booth number and a link to your website. If you would like to be a contributor on the board, send us your Pinterest username as well and we will add you as a pinner to this group board.